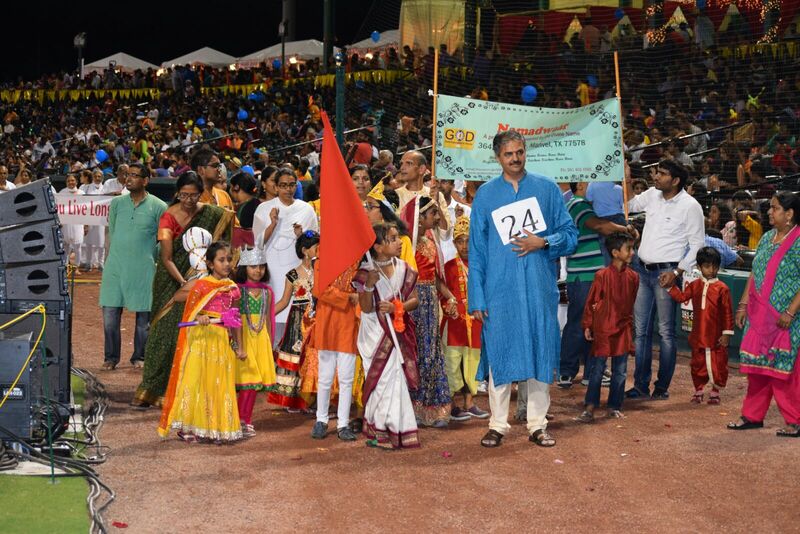 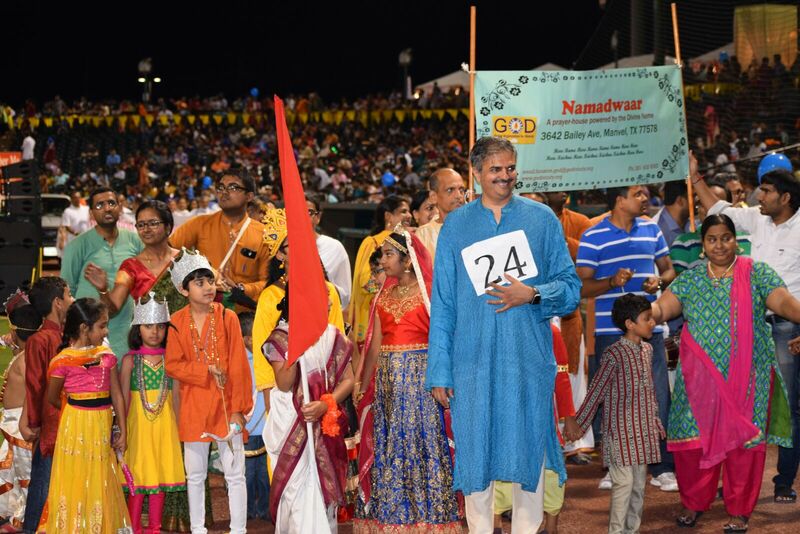 During the weekend of Oct 22-23, Sita Ram foundation had conducted special Dussera celebrations in the Houston area. 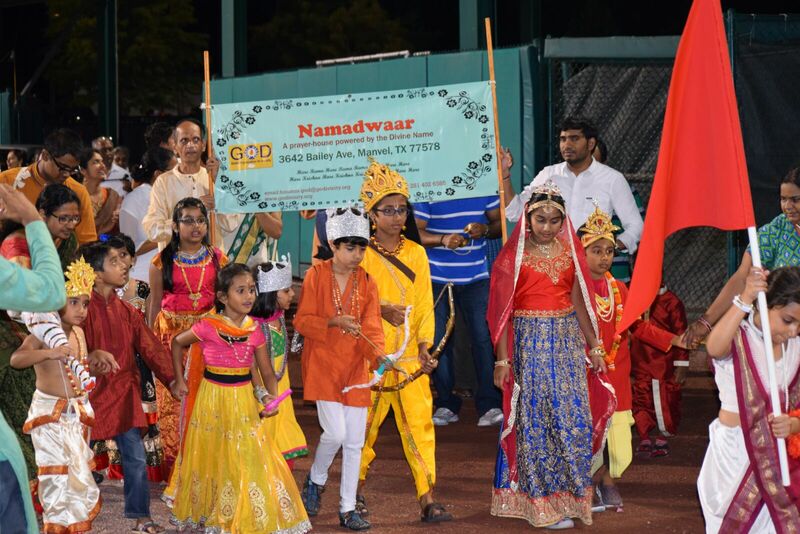 A parade was part of the celebrations and Houston Namadwaar was invited to participate. 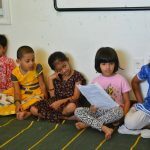 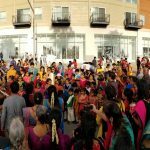 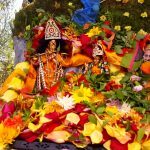 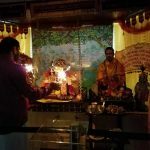 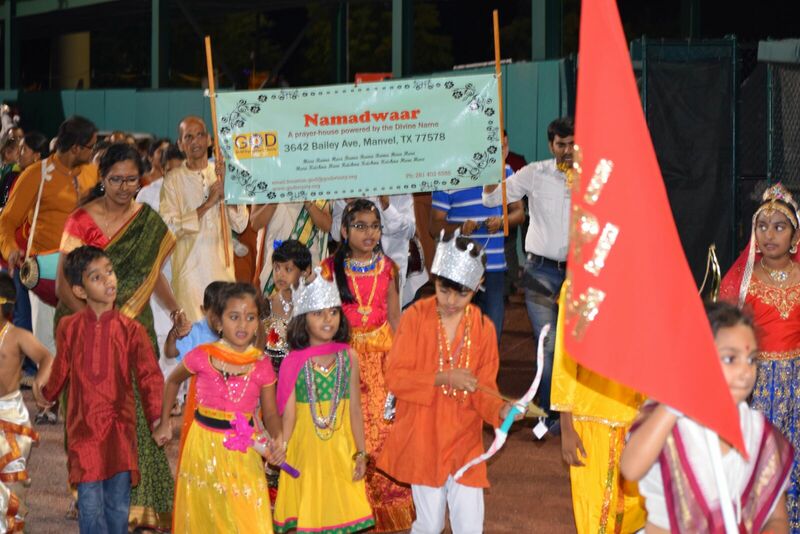 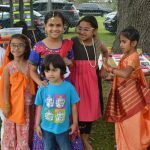 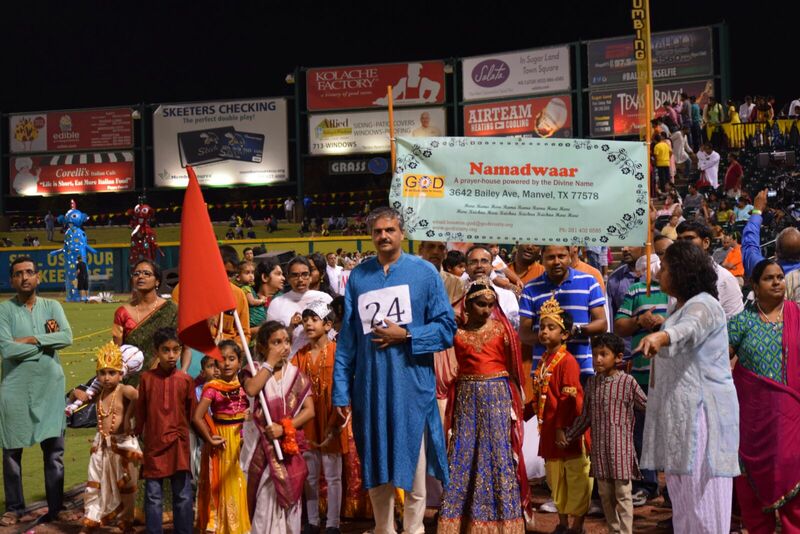 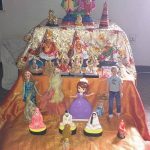 Around 50 members of the satsang – primarily Gopa Kuteeram parents and children paraded under the “Houston Namadwaar” banner chanting the Mahamantra, representing our group. 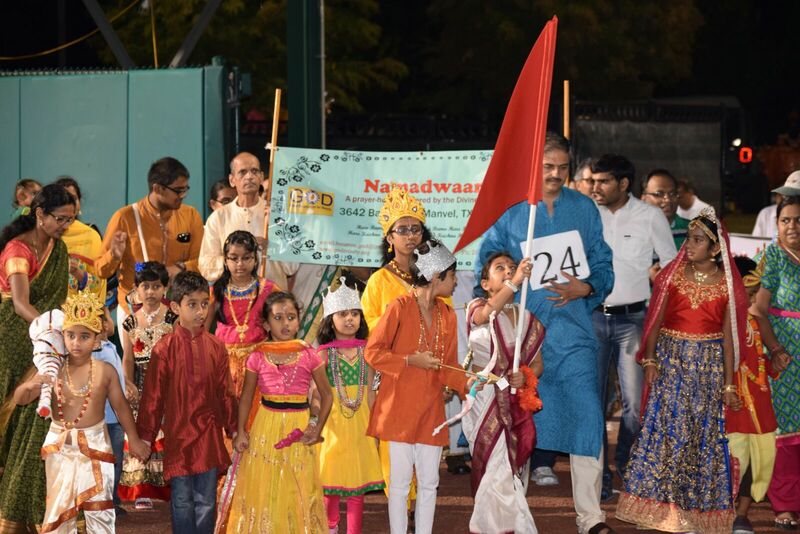 The Gopa Kuteeram children were beautifully dressed in the “Bharath Mata” and “Ram Parivar” themes. 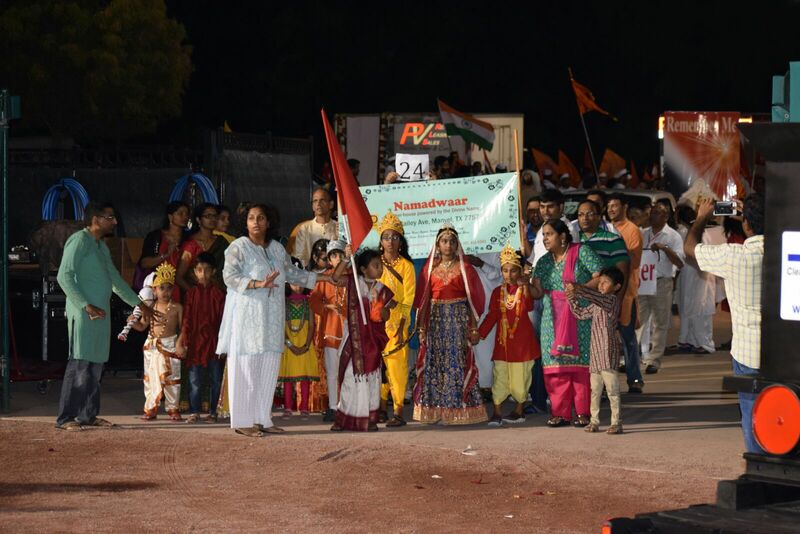 The parade was witnessed by more than 50000 people.